1. This submission focuses on the situation for human rights defenders (HRDs) in Sudan since the previous UPR cycle and thus covers developments between the years 2011 and 2015. The cases mentioned in this report are provided as examples and represent only a selection of the numerous cases that Front Line Defenders documented. 2. In the last UPR review, in May 2011, Sudan accepted three recommendations specific to the protection of human rights defenders, made by Switzerland, the United Kingdom and Norway. 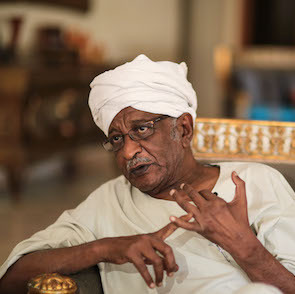 The recommendations urged Sudan to, respectively, “ensure effective protection of journalists and human rights defenders against intimidation, harassment, arrest and detention”, “respect the rights to freedom of expression, association and assembly by allowing human rights defenders, political dissidents and journalists to express their views freely in line with international human rights law”, and “take concrete steps to ensure freedom of the media and investigate any intimidation and arbitrary detention of journalists and human rights defenders with a view to bringing such practices to an end”. 3. Four years on, the government has displayed no intention of working on those recommendations. 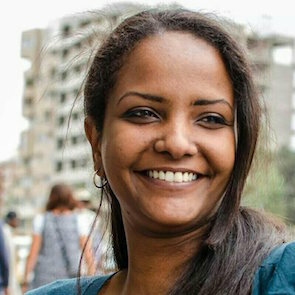 Ongoing violence by government forces, pro-government militia groups and opposition armed groups forms the backdrop to the work that HRDs continue to carry out in a very challenging and insecure environment. Freedom of expression, association and assembly have been curtailed. Civil society organisations continue to be subject to restrictions by the government, including the denial or withdrawal of registration. HRDs, journalists and student activists are subjected to intimidation, harassment, arbitrary arrests, incommunicado detention, disappearances and torture at the hands of Sudanese military and security forces, in particular the National Intelligence and Security Services (NISS). In addition, women's rights organisations are under intense scrutiny, struggle with laws that generally discriminate against women, and women human rights defenders also face sexual violence on account of their human rights work. (f) Fully implement the adopted UPR recommendations on human rights defenders in a transparent and participatory manner with full involvement of human rights defenders at all levels.